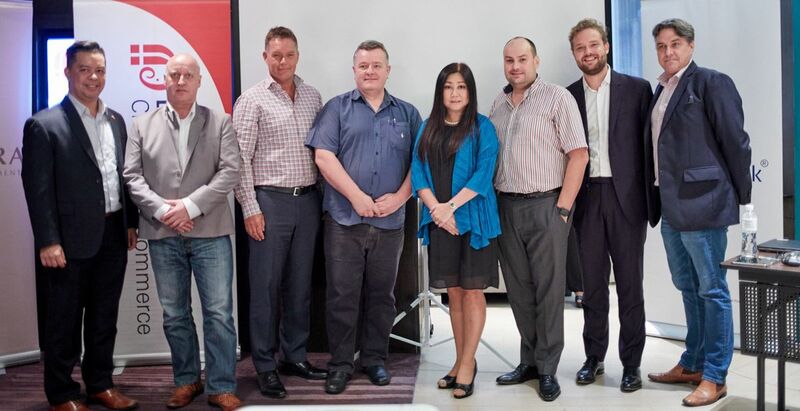 Why become member of the Danish-Thai Chamber of Commerce? If you are involved in Thai-Danish related business, you will have great advantage of joining the Danish-Thai Chamber of Commerce’s network. The DTCC acts as a forum where you can exchange ideas, experiences, and knowledge and where your company will be exposed to the top executives in the region. DTCC is proud to say that it is one of the most active chambers in Thailand with more than 150 members. Being a member will grant you many benefits as well as networking opportunities with the extensive Thai and Danish community. Several times a year we facilitate events, which offer our members relevant information about living and working in Thailand. The Chamber is your natural place to search for information on Danish-Thai business relations. Receive the Chamber’s eNewsletter and stay informed about what is happening in terms of business as well as other networking events and activities in the Chamber. Receive the annual DTCC Business Directory with a comprehensive overview, which introduces all members of the Chamber and provides information on Thai-Danish bilateral trade in the region. Our website is your gateway to last minute news affecting the business community in Thailand and it provides you with an overview of upcoming DanCham events. Monthly legal updates with a summary of new or updated laws. This comes with compliments of one of Thailand’s law firms. Being a member of the DTCC, you are entitled to join our events with favorable member prices as well as being invited to exclusive member events. Monthly networking events – usually after work. Breakfast meetings and seminars, some organized in corporation with other bilateral Chambers in Bangkok. Annual events, such as Christmas Lunch and Easter Lunch with traditional Danish food. AGM. Participate in our Annual General Meeting. Members have voting rights. Company visits in Thailand to see how DTCC members drive their businesses forward. As a member, you will have various opportunities to promote your company to the Danish business community. Sponsor an event. Set the agenda for the event (alone or together with other sponsors) and enjoy a fantastic opportunity for your organization to gain exposure. Get a banner on our website and promotion on our social media channels. Get a full or half page ad in our Member Directory book. The Danish Chamber plays an active role in the activities of the Joint Foreign Chamber of Commerce Thailand (JFCCT). The JFCCT has over 9,000 members and is formed by over 30 international Chambers. They meet with ministers, secretary generals and other top officials in the Thai administration on a regular basis. We have access to the decision makers in departments such as the Revenue Department, Thai Customs, Immigration, and Board of Investment. Here, we represent our members in matters such as refund of VAT, import procedures, work permits and establishment of companies – only to mention a few privileges. The JFCCT has a number of relevant sub-committees that do an excellent job in improving the business environment in Thailand to the benefit of both Thai and foreign investors. The existing working groups are: Information Communication and Technology – Customs, Employment – Property – Taxation – Tourism and Legal. We already see the difference these active sub-committees are making in order to promote trade and foreign investment in this country. As member of DanCham, this is your chance to join these vital working groups. If these groups are of interest to you, and/or relevant to your industry, please contact the Chamber for more information.